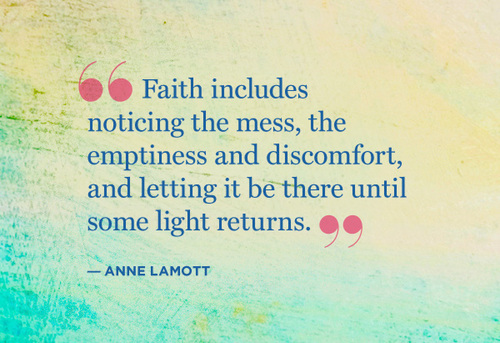 This entry was posted in images, overcoming and tagged anne lamott faith includes noticing the mess by Jackie Lea Sommers. Bookmark the permalink. Did you know when you click on Details of my faith , a you tube video comes up on Disney???? Funny!